Welcome to April's Stamper's Blog Hop! Our theme is "Think Spring!" I love winter, but I also love those nice warm, sunny spring days! 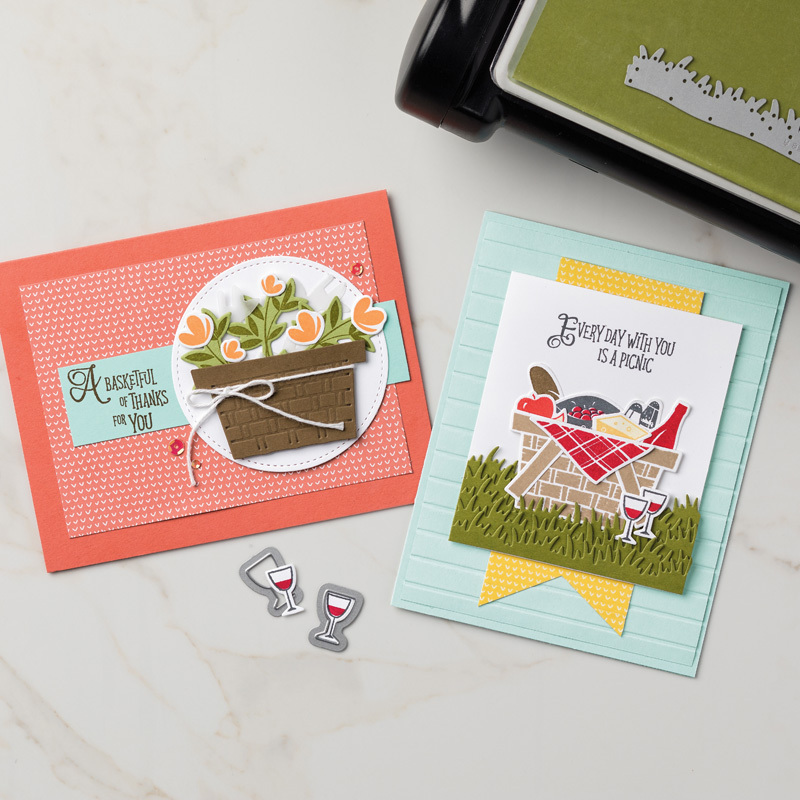 My card features the Picnic Basket bundle available in the Occasions Catalog. Here is a close up - My color palette is Blushing Bride, Calypso Coral, Pear Pizazz and Crumb Cake. It was easy to make all these layers because of the framelits! And the "for you" tag was cut using the framelit for the cheese! Here are a few other cards featuring this cute bundle - perfect for this time of year! 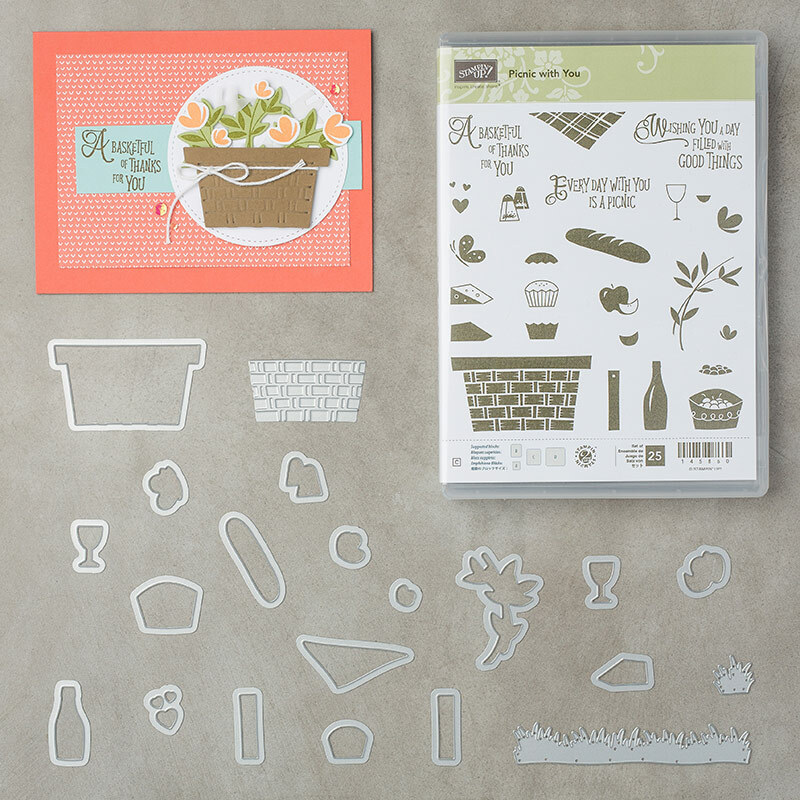 The bundle includes the stamp set and coordinating framelits. Please click on the photo to purchase the bundle in my store! We love our bundles because you save 10% when you purchase these products a bundle! Hope you enjoy the rest of the hop!! !